Woodall Country House and Spa has been awarded one of only 40 Diamond Awards in South Africa, in the prestigious 2009 Diners Club International Wine list of the Year competition. This marks the fifth consecutive year that the wine list of this award-winning country house has been recognised amongst South Africa’s top restaurant wine lists. It is also the first year an overall score of above 90% was attained, notwithstanding more stringent judging criteria, and a marked increase in the number of restaurants participating this year. Woodall offers luxury Boutique Hotel accommodation in South Africa’s Eastern Cape. Opening onto beautiful rose or indigenous gardens, alive with the calling of birds, each room boasts swirling ceiling fans, air conditioning, heating, private verandas, en suite bathrooms with separate bath and shower. All have private outdoor showers for an enlivening experience not to be missed and mosquito nets. Other features include mini-bars, mini hi-fi’s, electronic safes, telephones, internet access points, hairdryers, tea / coffee facilities, crisp percale linen, bath robes and electric blankets for chilly winter nights. Twin or King bedded rooms available, we also have two family units. “Havens of Tranquility” Luxurious rooms and cottages are private and spacious with an understated elegance and a classical feel. Each room is individually designed and decorated with an air of bygone romance. “The Luxury of Space” Luxurious suites with a contemporary feel are airy and furnished using natural materials and raw silks. Light and spacious, completely private, each suite offers understated refinement: spacious bedrooms, separate sitting, dressing areas, expansive bathrooms complete with double outdoor showers. Recipient of the Diners Club Platinum Wine List Award 2005, 2006, 2007 and 2008 Stylish regional cuisine is served in the distinctive thatched waterside dining room with views of resident herons, cormorants and other South African waterbirds. The gourmet food is inspired by the flavours of local ingredients and freshly picked vegetables and herbs from our own garden. No effort or expense is spared to provide a fine dining experience bursting forth with South African flavours and textures: Karoo venison, freshly caught East Coast fish, homemade stocks, fresh breads and local cheeses. Complementing the menu is the private underground cellar, boasting a unique and comprehensive cross section of fine South African wines. Finish off the evening with after dinner cigars under the stars. Breakfasts are farm-style with gourmet eggs and bacon, homemade breads, pastries, muffins, jams and preserves. Picnic baskets specially packed. Simple, stylish lunches can be enjoyed on the deck, at the pool, or on your private patio. The Spa, a sanctuary for relaxation, personal rejuvenation and serious pampering flows onto a full size pool, fringed with palms and a waterfall. Facilities include a massage and therapy room, steam room, sauna, hydrotherapy bath and spacious double showers. The gym, which is fully equipped, offers cardiovascular and strength training facilities. The spa also caters for younger guests with a special “Prince and Princess Kids Spa Menu”. full range of facial and body treatments that leave you feeling pampered, relaxed and rejuvenated are available. All Skincare treatments make use of the extraordinary Dermalogica products with treatments specifically designed to address personal skin needs. Individual skin types are fully analysed, cleansed and exfoliated, followed by massage and application of mask, serum and moisturizer. Our Skincare Treatments will leave you with perfectly hydrated, relaxed and radiant skin. A wide range of massage therapies are on offer. These include Swedish, Aromatherapy, Foot Massages, and Hot Stone Massages which will melt the tension from each and every muscle. During these treatments you will feel lighter. Your spirit will be lifted and tension released as you dissolve into a dreamy state. Body exfoliations with Aromatherapy and Mineral Salts that will lift dead skin cells and Hydrotherapy and Sea Mud Packs, which will detoxify, refresh and relax your body, are recommended. Our Jet Lag treatments will alleviate the negative symptoms of jet lag so you can have the full benefits of your stay. Also enjoy our luxury Manicures and Pedicure treatments for perfectly groomed hands and feet. Various packages are available to suit your needs. Recharge in our tranquil setting and leave feeling pampered, relaxed and rejuvenated. Once you have experienced a wonderful Spa experience, even more awaits you. The rest of our team will treat you to private game drives, stylish lunches and regional gourmet cuisine to round off your stay with us. Aromatherapy, body scrubs, body wraps, facial treatments, hand and foot treatments, heat treatments, hydro therapy, hot stone treatments, jet lag treatments, lymph drainage, Swedish massage, reflexology,foot massage, waxing, manicures, pedicures, purifying back treatments, in room massage treatments, full and half day packages. Spa Cuisine that is low in kilojoules, can be enjoyed overlooking the water sanctuary. Fresh fruit juices and herbal teas are available throughout the day. Dinners are gourmet six course set menus featuring local cuisine. Light lunches and champagne breakfasts available. Room service. Provisions for various dietary requirements are available on request. Addo is the best place to get up close and personal with the biggest land mammal – the Park is home to the densest population of elephant in the world. Other mammals include lion, hyena, Cape buffalo, and black rhino, as well as zebra, jackal, warthog, suricate and numerous species of antelope. Over 150 bird species have been recorded in Addo and there are around 600 different plant species. Addo is also home to the endangered dung beetle. Whether you experience the park from the comfort of your own vehicle or on a game drive with an experienced guide, the chances are you will have close encounters with the elephant. To make the most of the park be sure to bring binoculars, camera, walking shoes. Wildlife reference books and road maps of the Park are available from the reception at Woodall. “Tooth & Claw” Safari: (45 minute drive from Woodall). Schotia is the oldest private game viewing reserve in the Eastern Cape, and offers one of the best chances to see lions in the wild. The Tooth & Claw is a guided drive in open topped vehicles. It begins in the late afternoon, and returns after nightfall (late afternoon and evening game viewing is often the most rewarding time of day for game viewing as this is when animals are at their most active). This is especially the case with lion, which are generally nocturnal hunters. 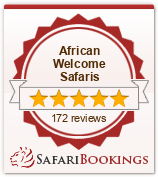 Schotia is also home to white rhino, zebra, wildebeest, warthog, jackal, crocodile, and a large variety of antelope. The drive is followed by a traditional meal is served under the stars in a thatched open air lapa. Amakhala means “Aloe’, the prolific indigenous plant found in this diverse area of the Eastern Cape. Feel the heartbeat and rhythm of Africa as you become part of a Big 5 Safari Adventure on Amakhala Game Reserve. Guided by experienced rangers on open Land Rovers Amakhala offers a product aimed at providing visitors with an experience of the diverse wildlife and landscape including: The Big 5, Black Wildebeest, Cheetah, Giraffe, Zebra and numerous other antelope. The excursion commences from Reed Valley with a welcome drink and a game drive through the reserve enjoying spectacular views before descending into the Bushman’s River Valley. This is followed by lunch – authentic African cuisine with a mouth watering buffet served in the true African way before departing on a tranquil 45-minute river cruise. After the river cruise enjoy a further game drive through other parts of the reserve making your way back to Reed Valley.